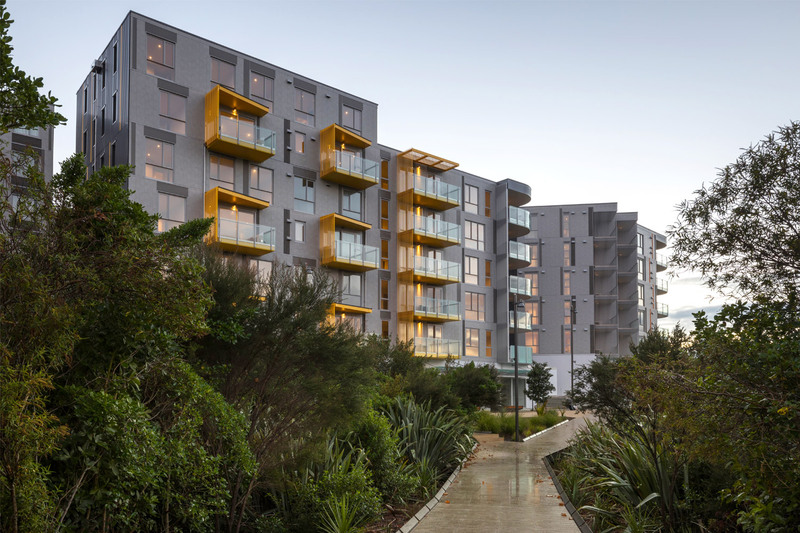 Designed by award winning architects, Context Architects, the development is like no other. 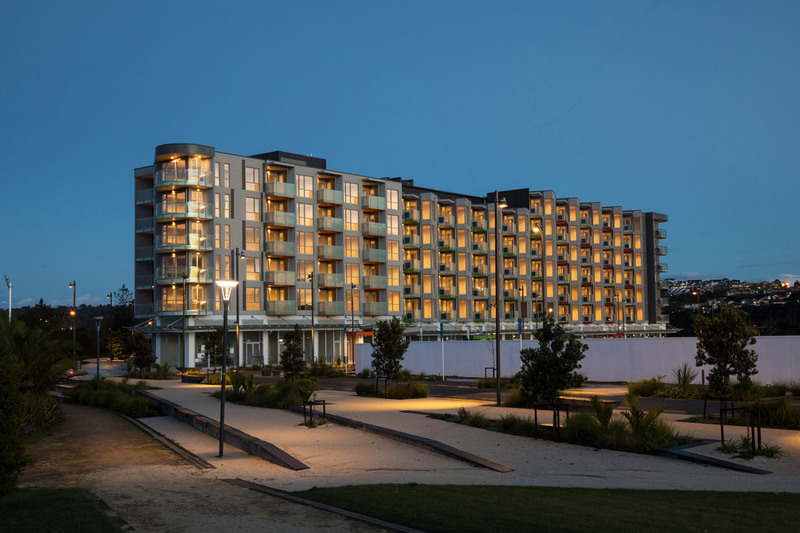 The durable precast concrete structure offers a varied form, while the balcony facades add interest through their unique louvered panels providing the residents with privacy yet allowing light to flow through their living spaces. Sun has been utilised as a feature and brief for their design, creating playful shadows and light across the building at different times of day. 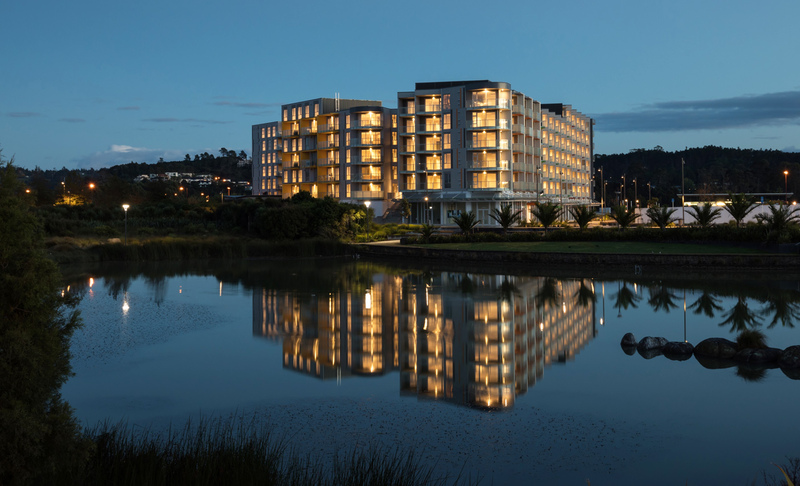 Holmes Fire offered both Fire Protection and Fire Engineering services for this project. 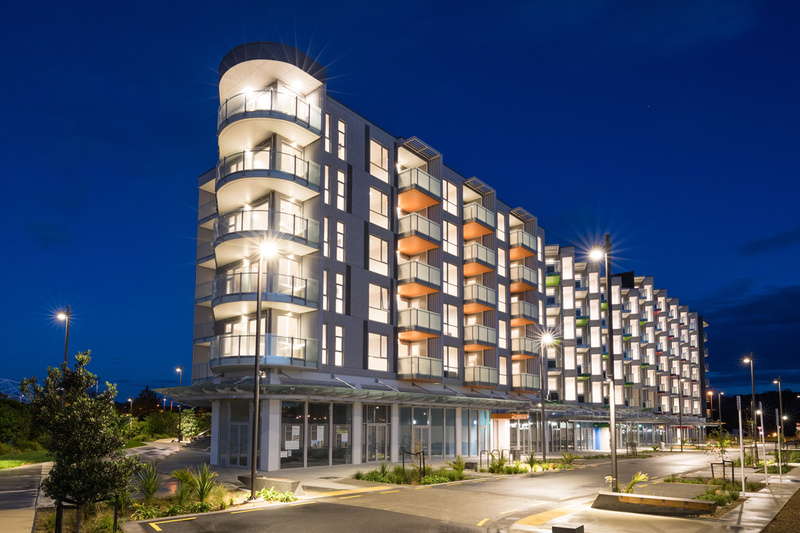 Working with the architect, we achieved our greatest challenge of this project, achieving delivery of the project through extensive construction, consent and occupancy stages. Albany Rose Gardens includes 201 apartments over six apartment towers across 6 levels. The ground floor covers office, retail and hospitality space. A select number of these retail and office space contain mezzanine levels, adding to the fire safety considerations of the building. Through our fire protection services, the team provided a fully detailed design of the sprinkler system throughout the buildings. This created an extensive level of documentation and detailing, considering the sheer scale of the project.